The pair hope to strengthen financial cooperation to deal with the current financial crisis. On Tuesday, Chinese Minister of Finance, Xie Xuren and his Russian counterpart, Alexei Kudrin exchanged views on many issues. These included the impact of the financial crisis, measures to deal with it and how to strengthen financial cooperation between the two countries. Xie Xuren, Financial Minister of China, says, "so far the financial crisis has not ended. It continues to affect the economy and is slowly affecting the global economic and political format. With these issues as a back drop, China and Russia seek ways to deal with financial crisis through dialogue. It is significant at this time to seek a leading position during the changing global economic and political climate." 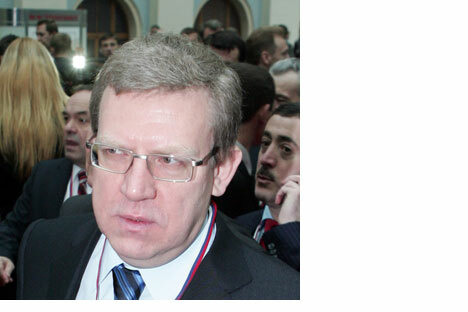 The Russian financial minister said the dialogue is an important way to strengthen exchange and cooperation. It will also help promote trade between the two countries. China-Russia trade has grown for past eight years. In the first eleven months last year, the volume reached 52 billion US dollars, up 20 percent compared to the same period from a year before. These China-Russia financial minister meetings were launched in 2006. It was initiated with the signing of a memorandum of understanding by the two governments during the then Russian President Putin's visit to China.